Along with the new website, we've migrated most of our blog posts to the new system. The full archive of blog posts will remain live at bigduckgames.wordpress.com. Check out theoretical physicist and game developer Charles Bloom’s classic FLOW manipulation puzzle, now part of the Big Duck Games’ FLOW Family! Originally released in 2002, the object is to guide a fluid comprised of thousands of sprites through various puzzles by changing the terrain. Hope you enjoy and leave us your feedback. Flow Free: Hexes is here! Think outside the box! The next evolution of Flow Free is now here! Get it now at flowfreehexes.com! Over 1,000 free, hexagonal puzzles! It's everything you love about Flow Free and more. Available now for iOS and Android. Great new updates are also available now in Flow Free and Flow Free: Bridges. New level packs, a new honeycomb color theme in honor of Flow Free: Hexes and many other improvements. Out now! PS - We'd love it if you could leave us a review on these new updates! Four new level packs, two free, two paid. On the Free side, there’s now a Bonus Pack which contains additional levels from 5x5 to 9x9 and also an 8x8 mania pack which contains 150 8x8 levels. We thought this 8x8 mania pack might be a good way to challenge some of the more experienced players. In the Level Store you can now purchase the Pink Pack which is a Jumbo size pack containing 10x10 – 14x14 levels and you can purchase the 9x9 mania pack. We’ve also added an option to purchase all the levels at a discount. After you complete a puzzle, you can now dismiss the dialog that comes up in order to view your solution. The middle button along the bottom is usually a refresh button but when you complete the puzzle, it will now turn into a close button which will close the dialog. You can also click anywhere outside the dialog on the board. Big Duck Games is happy to announce the availability of “Flow Free” for Android! Downloaded over 3 million times on iTunes, Flow Free is the #1 free US iPhone game as of this announcement and has been at the top of the charts for over two weeks. 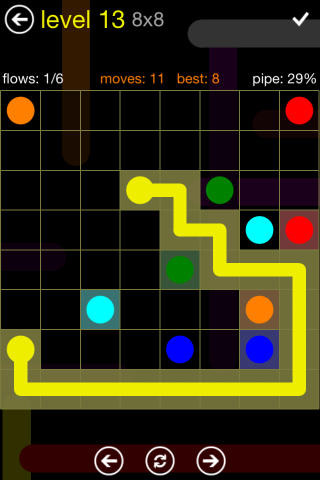 Flow Free is a simple yet addictive puzzle game. It includes 300 free levels with puzzles appropriate for phones and for tablets. Easy to start and fun for all ages! The port to Android was completed by Noodlecake Studios, creators of Super Stickman Golf. Flow Free, #1 Free App on iTunes for over a week! Thank you to everyone who has reviewed, shared or just played Flow Free! 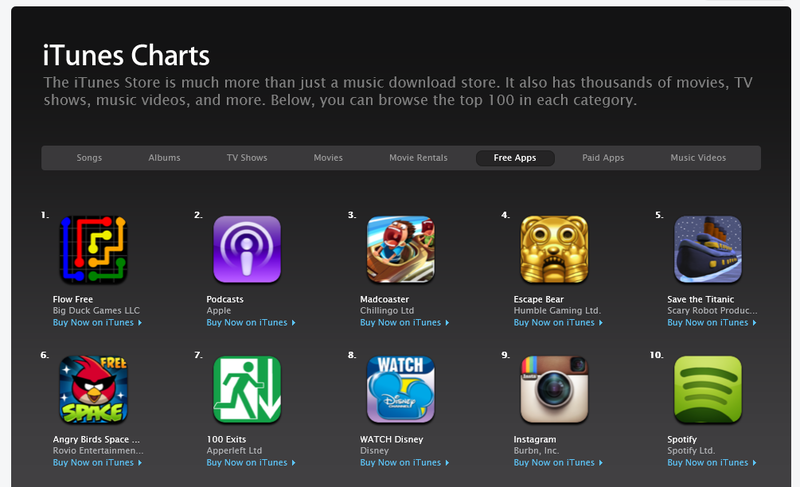 Flow has been the #1 free app on iTunes for over a week now. Thank you so much for your support. We are extremely honored and grateful. PS - Stay tuned for news on an Android version of Flow Free.